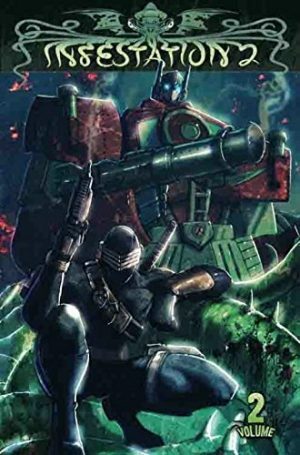 As a suggestion, the idea of a story where the same villainous presence manifests across all the licensed properties IDW were publishing in 2011 is fraught with problems and complications. After all, what could possibly connect the worlds of G.I. Joe and Star Trek? Well, that’s where Dan Abnett and Andy Lanning come up with an ingenious solution. 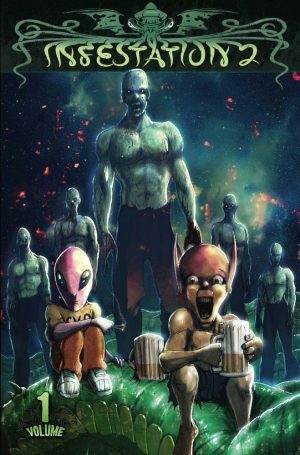 Their starting point is Cover Vampiric Operations, last seen in African Blood, a secret service agency staffed by vampires, in 2011 an almost redundant cast, investigating the invasion via interdimensional portal of the less desirable occupants of Zombies Vs. Robots. Don’t worry, the robots aren’t far behind. 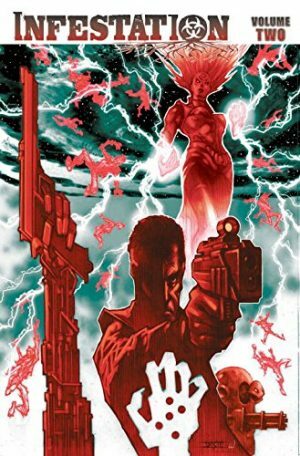 The Undermind controlling the zombies then discovers other alternate worlds, accessible through the found technology of the Artillica, mystical devices used by the CVO. That’s when all hell breaks loose. 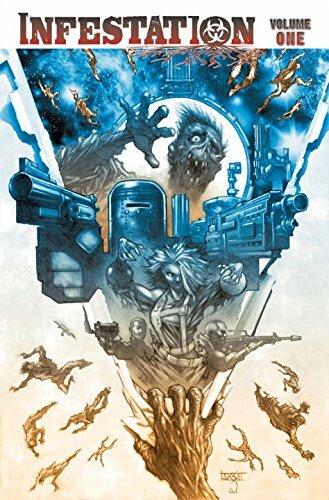 Abnett and Lanning are also responsible for the zombies meeting the Transformers, but the previous imagination isn’t applied here, with a first chapter that’s little other than the giant robots battering each other. The second features some plot, but not much, although the writers pick up on points from the regular series. 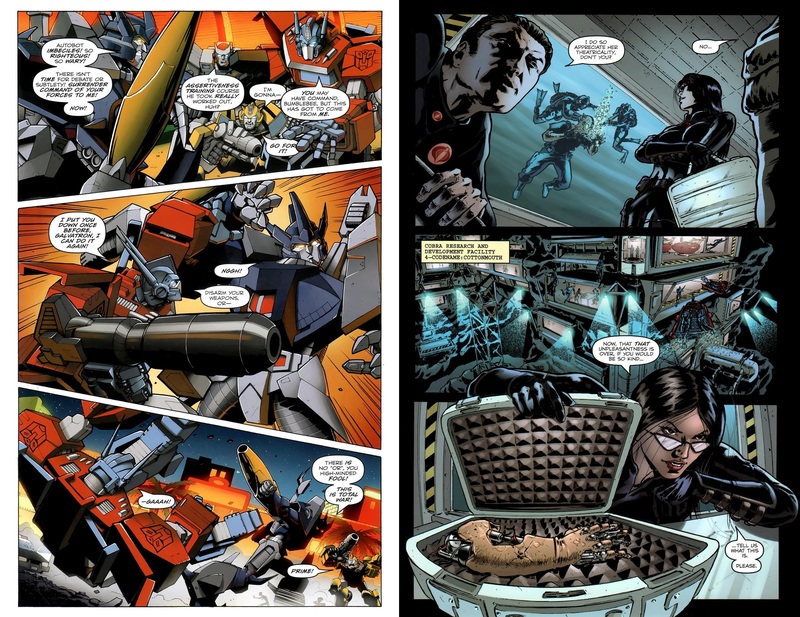 Nick Roche struggles to fit everything into clearly defined panels. The G.I. Joe segment is far better, with Mike Raicht scripting the piece like a spy thriller, Cobra’s curiosity aroused by the strange technology turning up, and the Baroness not aware of what she’s unleashed. The odd aspect is that this segment works by keeping things relatively small scale. Rather than the outright invasion, the single discarded piece of robotics is discovered and from there a virus causes havoc. Giovanni Timpano puts the effort into making things look believable and interesting, and proves himself the star artistic turn. Infestation starts well, and the G.I. Joe sequence is tense and horrific, but the entire Transformers portion lacks any inspiration at all and drags everything down. The conclusion occurs in volume two, but before that there are the worlds of Ghostbusters and Star Trek to visit. 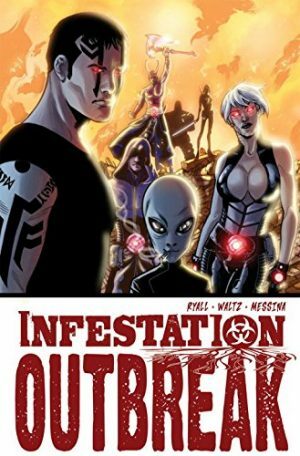 Alternatively, buy the entire Infestation story in a single hardcover book.